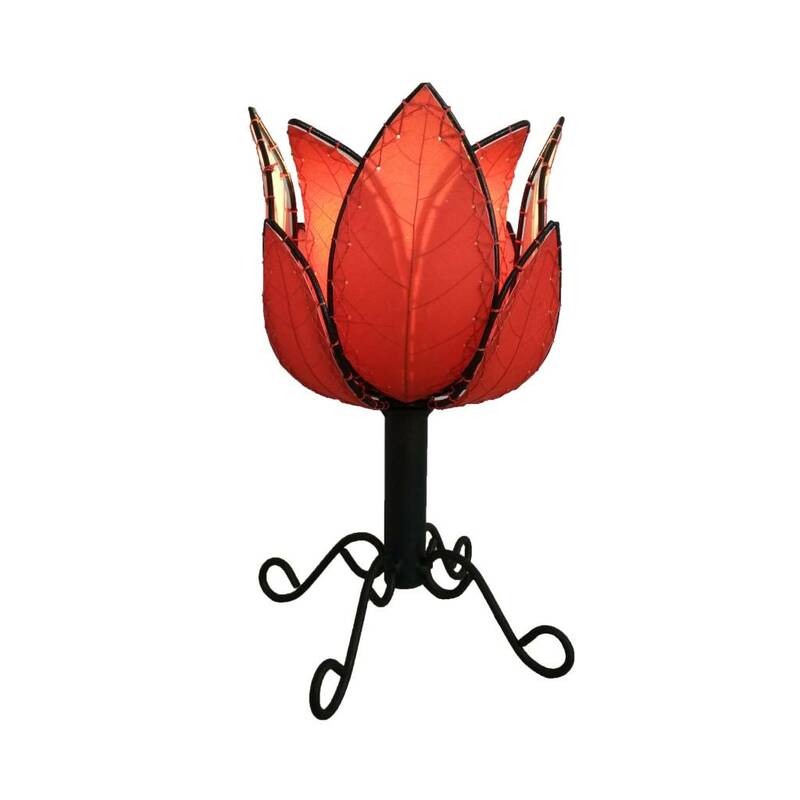 Made from durable powder-coated wrought iron, the lotus lamp features a budding flower bloom made from real cocoa leaves, and containing a built in outdoor LED bulb, this lamp will enhance any outdoor space. 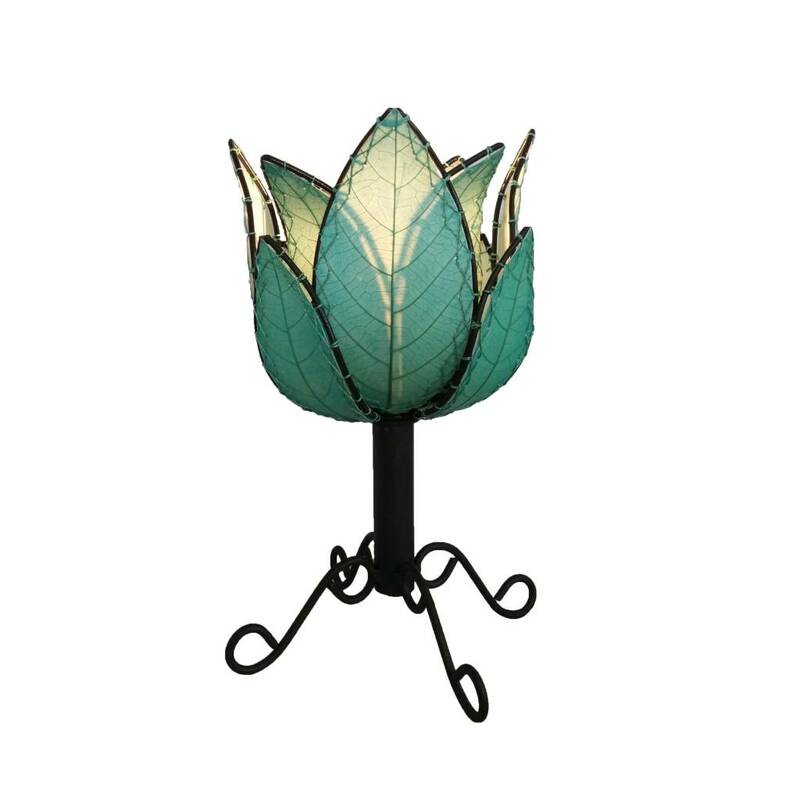 Features cocoa leaves laminated onto UL lamp backing and stitched onto a powder coated wrought iron frame. These panels are attached to a central metal stem. 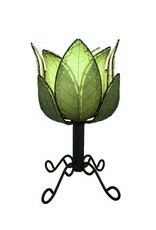 This lamp features a built in outdoor, LED lighting system designed to last 15 to 20 years. 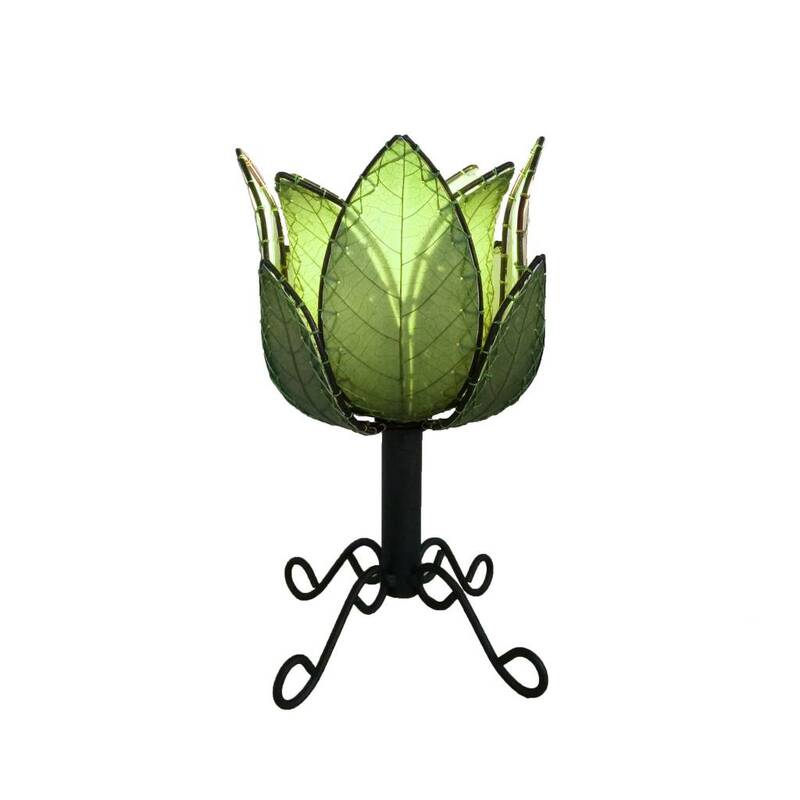 Designed to get wet, it’s perfect for a patio or porch. Each bulb produces 800 lumens of light (similar to a 60-watt bulb) at a color temperature of 3000K. 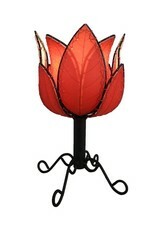 The lamp should be brought inside when temperatures are below freezing. 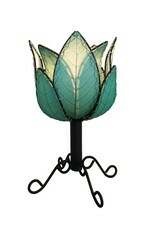 Do not submerge the lamp or electrical in water and contact the manufacturer if the bulb is compromised.